We heard great news about SharePoint Adoption and new features bringing together and integrating different Microsoft tools all on the technical basis of SharePoint and its common security model from Jeff Teper, Microsoft Corporate Vice President, in his Keynote at the European SharePoint Conference in Dublin. That's great news for us, and for you if you use dox42, as the new version of dox42 comes with full Azure Active Directory Integration fully compliant with the Microsoft security model. That should make life easier for you when it comes to comply with security requirements. The PreRelease of this new dox42 release will be available by the end of the month. Just let us know if you want to check out the new functionality first hand! 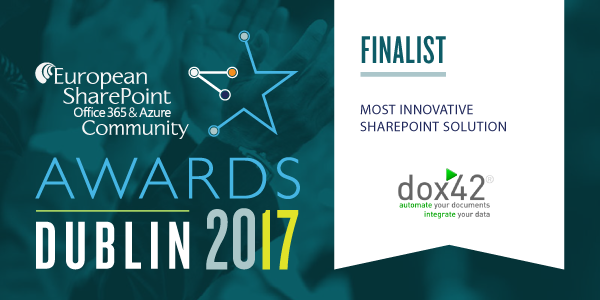 Maybe that is one of the reasons why dox42 was nominated Finalist in the category "Most Innovative SharePoint Solution", chosen by the European SharePoint Community! 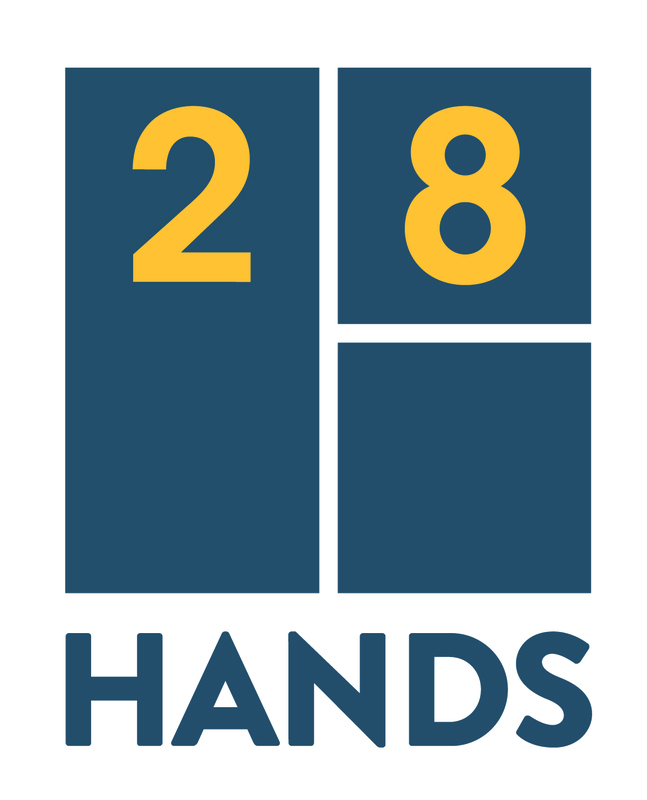 We are delighted about our new Technology Partner 28Hands - welcome to the dox42 partner network! Die Software Mail Manager reduces the time and complexity of filing and searching for emails. 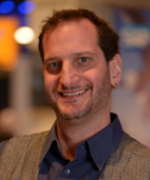 Daniel Schmid is our new dox42 professional with extensive dox42 expertise. He is group leader in the field of ICT services and responsible for integration (interfaces and workflow) at Berner Inselspital/Inselgruppe.